Bright & Brave encourages women and young ladies to be bright in the way they live our lives, shining for Him and being brave when doing so! 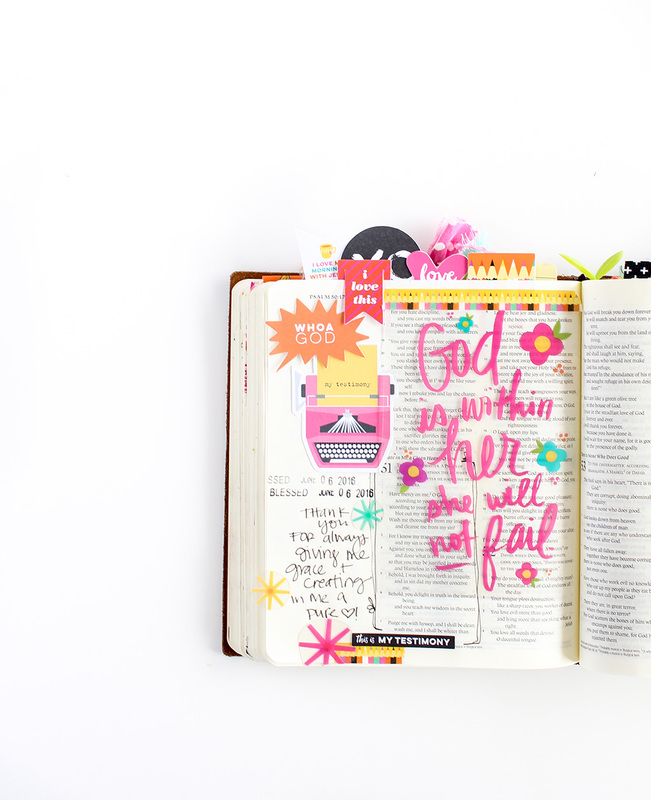 Allow Bright & Brave to take you on a journey of colorful adventure, expressing your faith through creativity. 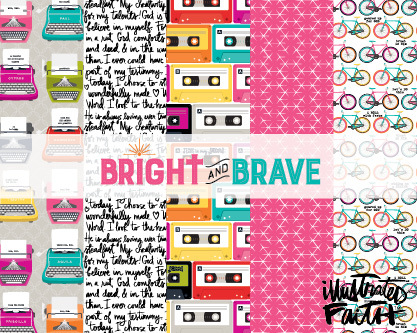 In addition to 10 double-sided patterned papers and two embellishment papers, Bright & Brave includes coordinating cardstock stickers, washi stickers, Paper Pieces,™ 6x8" paper pad, Tabbies,™ clear stamps and Designer Clips.™ Plus, all new products including a 2x7" Tip-Ins,™ paper pad with list prompts and quotes that fit perfectly in journaling Bible margins and a 6x8" Clear Cuts™ transparency pad with icons and patterned pages you can layer with other papers.